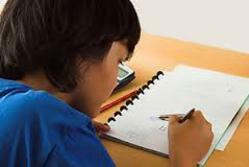 We provide Neurological and Psycho-Educational assessments including Independent Educational Evaluations (IEE) for children and adolescents. NELDC provides comprehensive diagnostic educational evaluations for children from age 3 through age 22,and college students. All evaluation instruments are widely used and parallel the instruments used in the public schools. Other assessments are given on an as-needed basis to further diagnose specific areas such as reading, listening, language, executive functions, and visual-motor abilities. Our licensed psychologist provide additional insights through a separate consultation. NELDC’s comprehensive report includes a profile of cognitive abilities and academic strengths and weaknesses, and offers strategies to improve performance at school, college, or work.